Sending food back and complaining is a difficult undertaking especially for us Brits, we just don’t like making a fuss and prefer to just grin and bear it. Well a few weeks ago I sent something back for the first time in my life and I ended up weirdly feeling quite proud of myself. I’m not going to name the place as it would be unfair but I will say they only opened that day and they dealt with the problem not only quickly but they were also very apologetic. As a result I have been back several times. This is a tricky one and people have their own level at which they will let things go. For instance when I sent the food back recently it was because something was very undercooked and therefore really inedible. I also wanted to let them know about the problem as soon as possible so that they could rectify the problem before other people order the same thing. Having just opened I would hate for them to serve several people that dish and build a bad reputation on their first day because I didn’t say anything. It’s not what you ordered: Do let the waitress/waiter know straight away if what’s put in front of you isn’t what you ordered. You might be fine with your “new” dish but if it’s an accidental swap with another table the server might be looking for it. Overcooked/Undercooked: This is an obvious one, if the food is raw or burnt to a crisp then you’re well within your rights to send it back. Cold: Another obvious one, but there’s nothing worse having a cold dinner. Foreign object in your food: Another classic that the waiter/waitress should be made aware of. If you are in less a than reputable place then maybe it’s not the best place to send food back (you don’t what something “extra” when it comes back, yes it does happen), but if your are in a restaurant where you expect better then make your complaint known. If you’re in a big group remember that sending food back and getting a replacement takes time so think before you complain. This doesn’t mean don’t say anything if you are in a big group but be aware that other people are dining with you. Stop and really think about your complaint before blurting out. If you can check the menu to make sure it’s not your mistake, then do. There’s nothing worse than complaining and then realising that you’ve read the menu wrong. I cannot stress this enough but when you are complaining be polite. Mistakes happen, just think about your own work and how many times you have made a mistake, well the food and service industry is no different so treat it as such. Being rude won’t get you anywhere and most likely make matters worse. 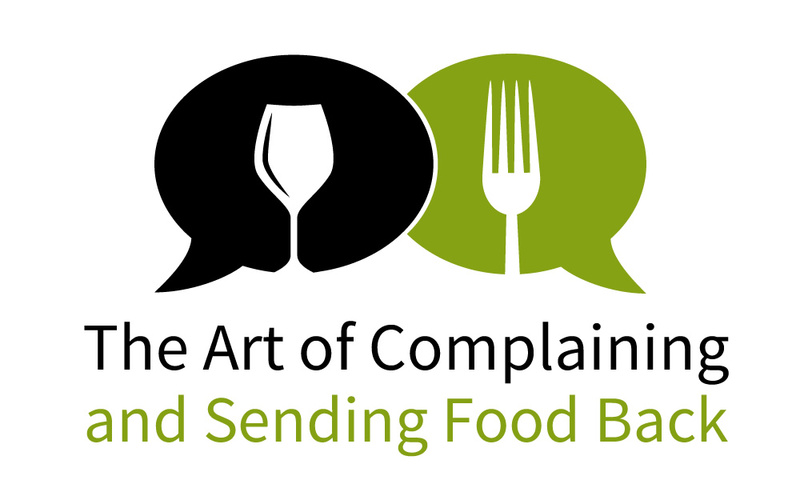 Do not vent your complaint on social media after your meal without first complaining at the restaurant. If you haven’t been brave enough to tell someone in the restaurant who can actually fix the problem then you have no right to tell the whole world, they can’t help you. I’ve heard some stories that people have demanded their entire meal for free because they sent one of their dishes back. It’s up to the manager or chef to decide how to deal with your complaint so never assume but a fair and the most common practise is to replace the offending dish and not charge for it. Complaining is a difficult thing to do but if something isn’t right and your feel strong enough that you are not getting what you asked for then complain. Just be responsible when you do and above all be polite and understanding, mistakes happen!